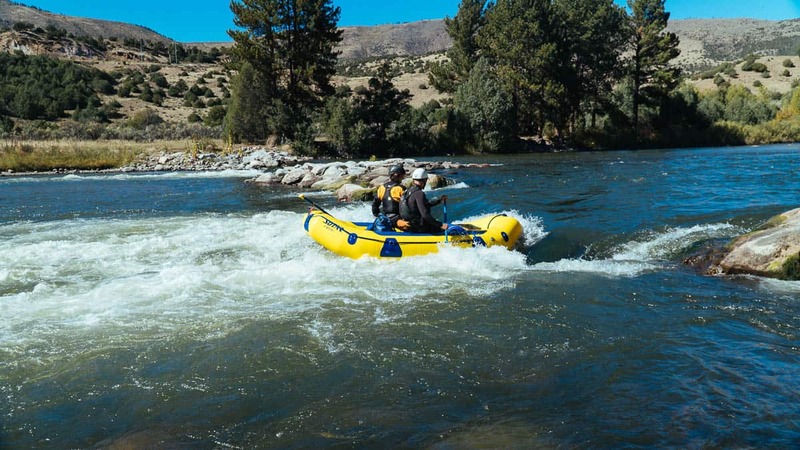 Gore Canyon is the quintessential Colorado Class V run due its tough rapids and reliable summer flows. 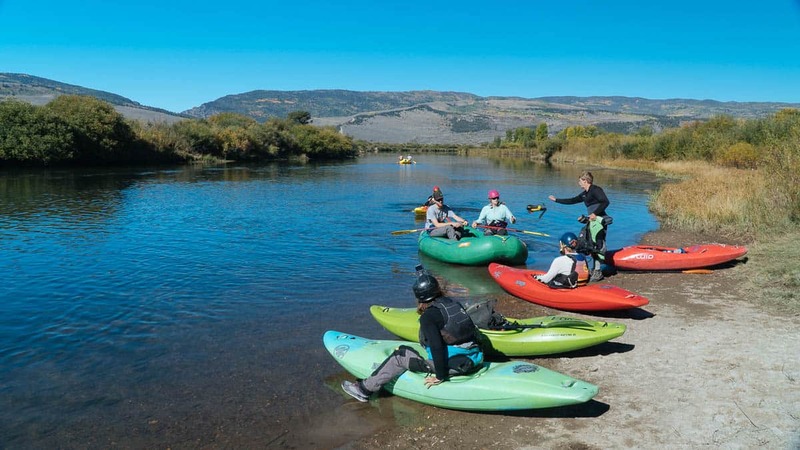 River flows in Colorado are somewhat complicated but Gore Canyon generally has reliable water from mid-July to mid-October. The most difficult rapids are Gore Rapid and Tunnel Falls. Both can be portaged with a reasonable amount of effort allowing solid Class IV paddlers to run this section with good guidnce. There are quite a few nearly river-wide ledge holes so it really helps to have someone who knows the run well to know where they are and where to go. 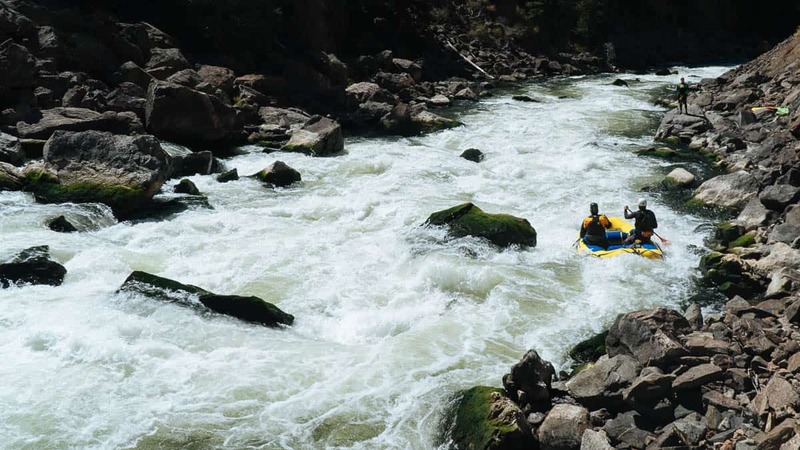 The last drop, Kirshbaum Rapid, is too long to reasonably portage. The back to back Class IV moves gives this rapid a Class V rating. Mile 0: Put-in at the parking lot and boat ramp on the Blue River. Mile 0.2: The Blue River joins the Colorado River and a3.7 miles downstream warm-up follows. Mile 3.9: Gear-Up-Rock has a small beach on the left that most groups stop at to put on dry tops an dry suits. Mile 4: Whitewater Warm-Up (III) is a nice series of rapids that make a good warm up before Applesauce. Mile 4.3: Applesauce (IV) is generally considered the most dangerous rapid on the run due to some nasty rocks on the left. It can easily be scouted from the left. Mile 5: Gore Rapid (V) is a legendary rapid that should be scouted from the railroad tracks on the right. There are many possible lines to consider. Since Scissors and Pyrite come immediately after it's a good idea to scout those from the train tracks too. Mile 5.1: Scissors (IV) has a big hole in the middle that should be avoided. It's easy to scout this one while you're scouting Gore Rapid. Mile 5.2: Pyrite Falls (IV) follows soon after Scissors. This is another rapid with a big hole that most people avoid by taking the far left line. Below Pyrite Falls there are a lot of fun Class IV rapids before Tunnel Falls. Mile 6.3: Tunnel Falls (V) is a big drop named after a nearby railroad tunnel that should be scouted from the right. It can be portaged on the right with moderate effort. Mile 6.55: Toilet Bowl (IV) is a nasty river wide hydraulic much like a low head dam. The standard line is to sneak it on the far left. Mile 6.7: Kirshbaum (IV+) is a long rapid that can be scouted from the right. Each move is Class IV but since it is so long most people give it a Class IV+ or V rating. Mile 9.3: Take-out at Pumphouse Recreation Site. This is location of the Gore Canyon Whitewater Park.